Our business is situated on 7 acres, 2 miles outside Savannah, TN. We currently employ 8 people. My father started the business in 1987 as a Bodyshop . The name then was Bobbys Body Shop. Being in the bodyshop we started collecting body parts and used junk cars. After 2 years in business we had over 75 cars sitting around and were selling parts off them. 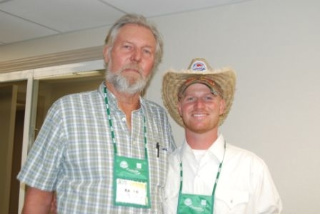 I said to my Father that we should started a Used auto parts business. That seed grew to what you no know as Raceway Auto and Truck Parts. I would like to see URG develop more training resources for new sales people. Something that was monthly or quarterly to keep sales people on their toes. What do you think is a “hot topic” currently in the recycling industry? I am excited about the current merger of QRP and PRP to form one group PRP Midwest. I have great respect for the yards involved and we here at Raceway Auto and Truck Parts are inspired and motivated by the yards involved. 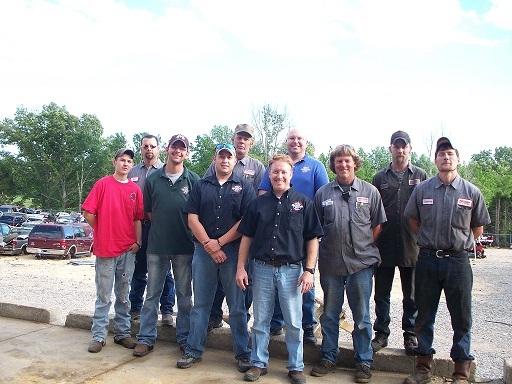 If we can be a part of helping the group with any of their parts needs, call our yard for high quality parts and fast delivery. Satisfaction guaranteed. We have 4 major quality control check points. When the car arrives it is inventoried and all damage is marked. Then the car is moved to dismantling for the second quality check point where the engine and transmission is tested and other small parts are check for quality. 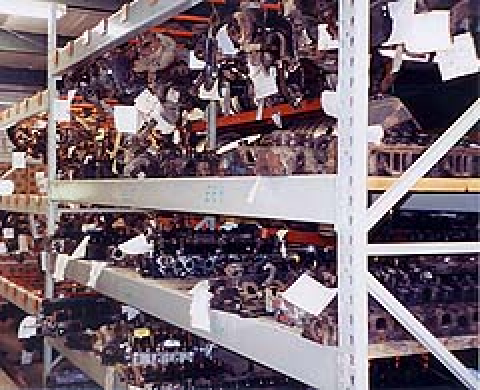 Car and parts are then moved to their proper locations and sit until sold. When a work order is generated for the part, it is then checked again for quality the third time. If for any reason there is a problem with the part, the parts puller then sends a resolution message back to the salesperson describing the problem. This is done so the salesperson can then contact the customer and describe the damage to the customer. If Okayed by the customer the salesperson then lifts the resolution so that the parts puller can then complete the process and get the part in the delivery area. At this point truck loading time is the fourth quality control area, where each truck is loaded and each part is checked again for quality. If any discrepancies are found we immediately contact the salesperson to make sure the customer knows of the problem. We have a motto here at Raceway Auto Parts “no surprises “. If then everything checks out the truck is fueled and ready for delivery the next morning. 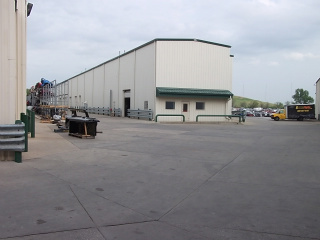 Our business is situated on 9 ½ acres, 4 miles outside St Louis, Missouri. We currently employ 35 people, and operate (6) companies out of one location. My grandfather started the business in 1953 as a small towing and scrap operation. We have been a member of URG since December 2009. I don’t think I have a favorite. There are so many benefits to being a member like the salvage site, URG 8000, and the annual URG conference. They are all so important. I would like to see URG develop a parts locating application for smart phones. There are lots of “hot topics” in the recycling industry. Right now I am excited about the announcement of QRP Midwest, PRP Absolute and PRP Heartland merging to form PRP Midwest. I know every one of these recyclers are a top notch facility, and I am excited for the opportunity that lies ahead. The difference is the service & quality level. Anyone can have the part, but the service & quality product is what sells our customers. How long have you been a URG member? Since 2002. What is your favorite URG benefit/program? 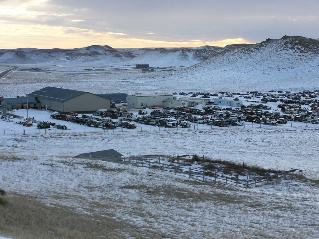 URG Salvage Auction. What would you like to see added to URG? Program to economically check credit history of customers to determine credit status (Dunn and Bradsteet type deal) with a way to report ontime payments so that late or no payment affected the credit scores of the company and the owner. Also, a Ebay style (old original style) feedback system for yards and customers alike. 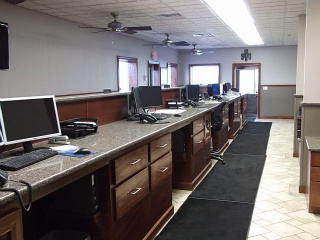 A & P Auto Parts has 2 locations full serve. Full serve #1- A & P Cicero, owner Billy Abold, Jr., which sits on 14 acres and is processing 2,100 cars. 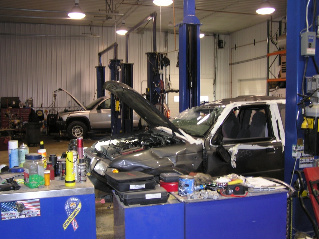 Full serve #2- A & P Auto Parts of Rochester, owner Billy and Pat Abold, which sits on 52 acres processing 600 yearly. 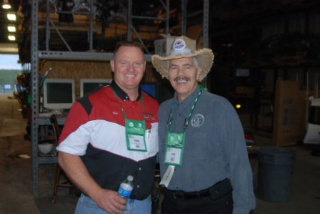 U-Pull U- Save Auto Parts, owner Dan Abold which sits on 15 acres and processing 10,000 cars. Lastly, A & P Automotive Oswego Bridgestone Firestone Center, owner Pat Abold, which offers service and tire with car sales. 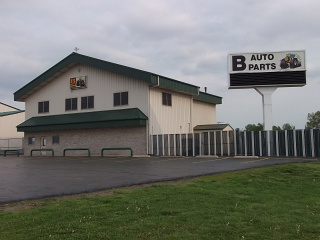 A & P Automotive Oswego opened in 1985. 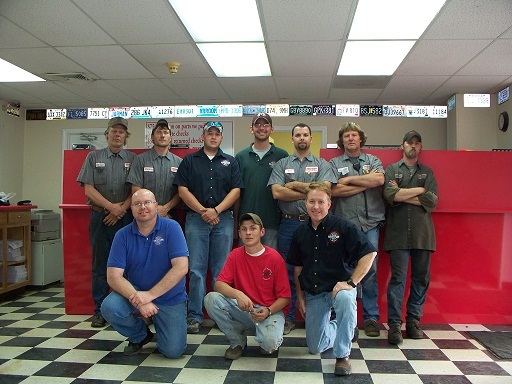 Our diversified family which is very involved in association’s driving- Full serve, u pull, scrap, and retail business’s. Special thanks to Billy Abold Jr.
Mr. R’s has 12 full time employees and one part time employee. 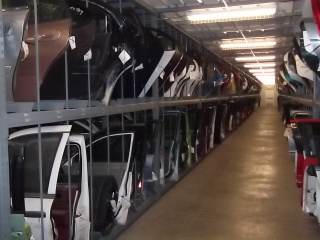 We purchase close to 500 vehicles per year and fully dismantle about 375. We service a varied customer base, but we do approximately 65% of our volume to the repair and collision industry and 35% to retail. We do not specialize in any category specifically, but light duty trucks, SUVs, and domestic cars are a high percentage of our inventory. 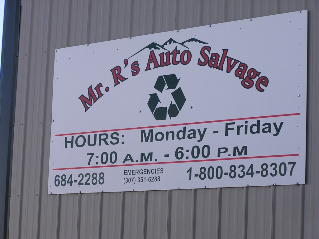 Mr. R’s has been in the used auto parts business since 1984. The current management and ownership group started in 1993. How long have you been an URG member? By far the greatest benefit is the annual URG conference in Denver. 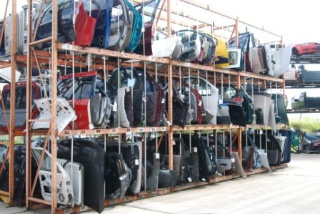 Pooling the thoughts and teachings of hundreds of salvage yards has benefited our business greatly. The wealth of knowledge is readily available to anyone who wants to attend the URG conference. What would we like to see added to URG? I would love to see URG add more training conferences/sessions, especially for staff positions. The main conference has a lot to offer but it is difficult for owners and employees to both attend. A separate conference or seminar devoted to sales and dismantling staff would be great. Cost of inventory seems to be on everyone’s mind. Our average Cost of Goods has risen dramatically in the past 2-3 years partly due to higher buyer’s fees and towing, but mostly due to salvage vehicle prices. Increased accessibility to auctions has brought more buyers to the table and more advanced purchasing tools and have made auto recyclers, as a whole, more aggressive. We are constantly evaluating the pricing boundaries of our parts to maximize our sales and minimize our overhead so that we can be as competitive as possible on auction day. Special thanks to Mr. R’s and Tracy Dunn for being our first featured member, keep checking back to learn more about your fellow URG members. You may be next!